Ginny Eckley – Ginny Eckley creates in an amazing studio, nestled in the woods, in Texas. 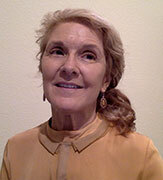 She is currently showing her work in two galleries, Hollywood Gallery in Houston and Copper Shade Tree in Roundtop, TX. She often participates in group quilt shows throughout the world. Her silk-screening and soy wax techniques were filmed on Quilting Arts TV and PBS. Ginny also distributes silk dyes, called Colorhue and her own line of silkscreens. Since her Bachelor of Fine Arts degree in the 1970’s, Ginny has combined her love of art, fabric and nature to create art that pushes the boundaries through technique and skill. Traveling throughout the US, Canada and Japan, she teaches and shares her love of art and sewing. Davonya is an Occupational Therapist and full time mom. Aside from working with developmentally disable children in Africa, Davonya uses her extensive experience of working with children to help the Creativity Shell design programs that focus on fine motor skills. There are many children in this world that do not have opportunities because of the conditions they are born in and Davonya shares a personal passion for helping all children in need. Lee graduated from Drake University and the Eastman School of Music where he earned his MM and DMA. 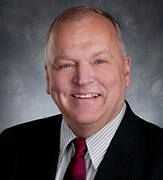 He retired from the Penfield Central School District in 2005. Lee is Director of Music and Organist at Lake Avenue Baptist Church and is Co-Chair of the Marketing Committee of the Gallery Council of the Memorial Art Gallery in Rochester. Lee is also a member of the American Guild of Organists and the Presbyterian Association of Musicians and a board member of the Memorial Art Gallery in Rochester, NY. 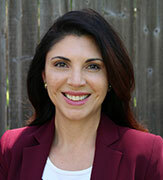 Monica is a native Houstonian Real Estate Agent and a mixed media artist. When she is not selling houses, she experiments with many different art techniques, and utilizes various materials to achieve the desired effect. She enjoys working with ink, acrylic, and oil and loves to balance unique colors, movement, and texture in her work. Some of her work includes (but not limited to) canvas/oil painting, woodworking, sewing, crafts and more! Monica is passionate about the Montessori system of education and most of all; she very enthusiastic about infusing arts back into education. EXECUTIVE/CREATIVE DIRECTOR – Shelancia Daniel, M.Ed. 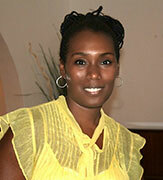 Shelancia Daniel holds a Technical Diploma in Costume Design from the International Academy of Design in Toronto. She also holds a Bachelors Degree in Finance from Thomas Edison University and has a Masters Degree in Educational Psychology (Creativity, Cognition, Innovation and Development) from Texas A&M. She has worked in the non-profit sector since she was 12 years old and has worked as a costume/custom bra designer for the last 16 years. After being influenced by her own children; Shelancia realizes there is nothing more important in this world than our kids. 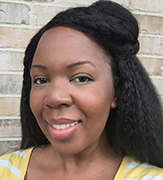 Shelancia plans to use her vast creativity experience in sewing and textiles arts to help build the Creativity Shell and to teach educational/creative design programs that will educate and inspire our kids.